Got people in your house who groan about Soup Night? Time to change that, especially since it’s such an economical meal option. 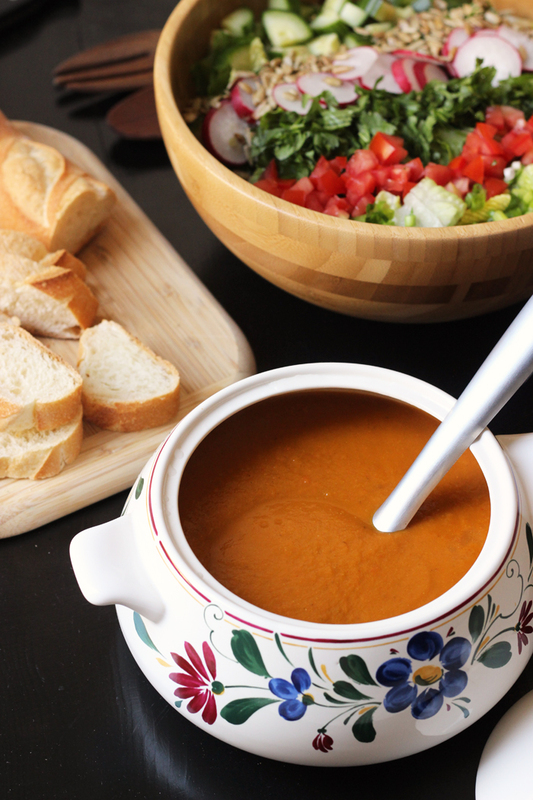 Consider these strategies to making your soup night a success! Soup night. It’s that night of the week when you serve, what else? Soup! While previous generations might have enjoyed soup every night because it was easy, cheap, and fed a crowd, nowadays soup has become somewhat of an acquired taste. Soup is quick, economical, and filling. You can make a meal from little bits of a few different ingredients. And it’s so cozy on a cold day. However, some people have a hard time considering soup as a meal. They often mistake it as a side dish instead of a main course. Or they balk at the idea of vegetables and broth. Soup night, in my book, is a great occasion for using up the leftovers I’ve acquired throughout the week so as to reduce waste. It has long been a weekly tradition for me to have Soup Night — at least in colder weather. For a few years, my children were some of those who balked at the idea. 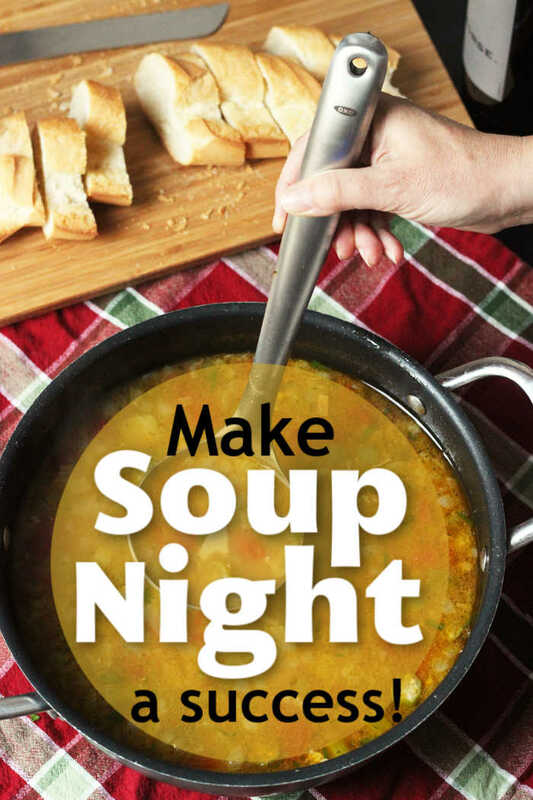 How do you make Soup Night a success? Over the years I’ve developed strategies to make soup night a little easier to swallow, for adults and children alike. 1. Offer a choice on soup night. Whether you prepare two different choices of soup or a variety of toppings to choose from, make some options available. Not only does having a choice brighten up soup night, but it also allows reluctant soup eaters to have some power in the matter. 2. Provide some delicious breads. My kids absolutely love Garlic Focaccia and breadsticks as well as popovers. By offering these on soup night, I’m giving the kids — of all ages — something to look forward to, in addition to the soup. In a pinch, cheese and crackers work, too. 3. Bake a great dessert. It’s amazing to me how quickly the kids can scarf down a bowl of soup when they know there is a great dessert, like Slab Apple Pie to top off with. While I’m not necessarily bribing them, I am rewarding the good eater with a little treat. I figure that eventually, they’ll develop a taste for the soup in question and not need a little reward. 4. Pay attention to what they like. If your child or spouse isn’t quick to embrace soup night, never fear. Through trial and error, you’ll find ways to make it work. It may be a question of finding out what everyone likes. If someone in the house doesn’t care for smooth, blended soups, choose chunkier soups like Creamy Chicken Noodle Soup or Spicy Beef & Bean Stew. If they prefer smooth soups, cook up a few pots of Roasted Vegetable Soup or Creamy Asparagus Soup. 5. 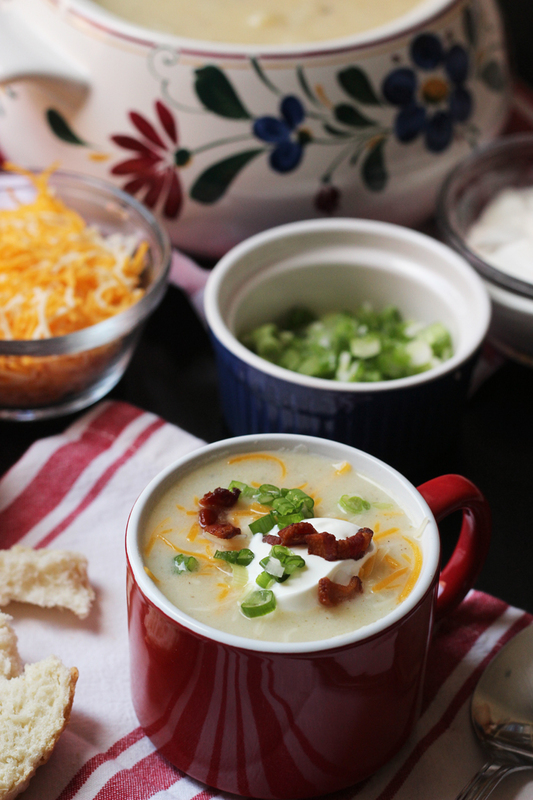 Build a library of favorite soup recipes. It’s not that some people don’t like soup. It’s that they haven’t found soups that they love. Through trial and error, you’ll find the right styles and recipes to fit the folks at your table. A Feast of Soups is a great starter cookbook. While I’ve never really embraced the recipes in it, I’ve gained loads of ideas over the years. Some of my kids’ favorite soups are included in Not Your Mother’s Make-Ahead and Freeze Cookbook. 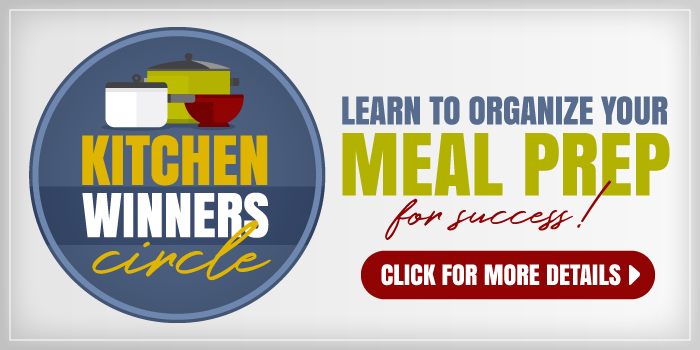 Try the wide breadth of soup recipes available. 6. Get yourself some great soup-making tools. 5-quart pot with lid – I have this one. It’s perfect for cooking chili or a big pot of rice. dual-sided silicone spatula/spoon – This is great for the cooking process as well as scraping every last bit out of the pan. 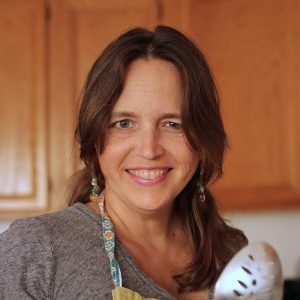 immersion blender – I love this for pureeing soups right in the pot. No blender to wash! ladle – This is the one I use on the regular. wire whisk – be sure to get one with a sealed barrel so dishwater doesn’t drip into your food. Yuck. Love soup! My five-year old actually said, the other night, “Can we not have soup for dinner tomorrow?”. Guess I need to change it up a little bit. Soup at our house IS a meal. I usually serve some type of bread or sandwich with it, then raw veggies, pickles or olives, or crackers and cheese. My kids don’t complain at all. When its cold we like to have it once a week. I’ve declared Wednesday, Soup Night, at our house. It’s AWANA’s night and soup is a perfect go to meal so we can eat and head out the door. My oldest son actually asks for soup for dinner sometimes. This week is Beef Barley – will have to look into the slab apple pie too! @Valerie, I’d love a link to the beef barley soup. Is it Fish mama’s recipe? Have you tried freezing it? But, I do freeze it with the barley in it cooked already. @Jackie Brown, this is my go-to Beef with Barley soup recipe. DELICIOUS and easy! We all love soup (my 3 boys included). I think soup is a success because I am sure to include some kid of hearty ingredient. 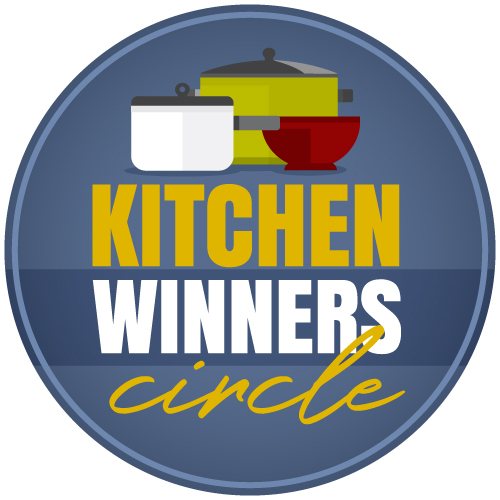 Whether it’s the additional of little meatballs in the soup, thick hearty chunks of potatoes in their chowder , or just the addition of a few tortellini in the soup, it seems to make the difference. The college DH and I attended did bread and soup night once a week and donated the money they saved to charity. When we graduated and got married I kept up the tradition except now the charity is us. So, my kids are used to it, but I agree good bread or crackers and a bit of dessert help a lot. I also like to add a pitcher of lemonade or iced tea to make things seem even more special (we usually drink water or milk). We have Saturday night soup night here in the colder weather. I meet a lot of resistence with all kinds of soup I make. I try to have them on an 8 week rotation. But this past Saturday my mind was blown!! I served your recipe for Roasted Vegetable soup. And they.ate.it.all!!!!!!!!!!! I would have NEVER guessed a soup made of vegetables and pureed would be THE soup to serve! Thank you one million times!!! @Kelley, Yeah! That makes my day! @Jessica, I also made this soup! I had all the ingredients from my CSA as well. The kids had an aversion to the peppers, but both my husband and I L-O-V-E-D it. Not to mention its just pure veggies. This has given me a spring board to create similar soups – thank you! My 5 year old loves soup (especially tomato), but my 3 year old and 2 year old won’t touch the stuff. Maybe when they get a little older they’ll be more open to it. I love soup in the fall, so cozy. I like to double my recipes and freeze extra for a non-cooking night. I will reheat two frozen soups, one in the crock pot and the other on the stove-top to offer choices. Plus soup is such a frugal meal for company or give away! Ummm, cornbread or homemade bread hits the spot. Soup is a staple in my house! I take it for lunch most days as it heats up easily and, paired with a salad, is a cheap and sooo yummy! 😀 And with fresh bread it always hits the spot. Soup, beautiful soup! Turkey vegetable for dinner tonight, ham and bean soup in the freezer, and just finished up a pot of ham and potato soup. Umm, ummm good! i was going to ask for the slab apple pie but saw someone else already asked. I made a mexican dish the other night that used up little bits and pieces too. We like soup and toppings are always a must! I tried to look to see if I can find it but alas….. what is the soup in the picture in this post? When my children were little, soup night always went over better when there was something to dip in it! Bread sticks went over very well. Or little cubes of cheese they could float in the soup and then eat when they got melty. Whatever it takes! Even at 17 and almost 20, they still like cubes of cheese in their tomato soup! I love soup and would eat it all the time, but it gets so many groans. Thanks for the tips! Yes to the idea of adding good bread! I know someone mentioned cornbread which is a family favourite. Also top favourites to have with soup are biscuits, cornmeal muffins or other savoury muffins. Growing up my Mom often would serve one of our (the kids) favourite salads with soup including grated carrot with sunflower seeds and raisins or an apple salad. Having something that was a favourite made for smiles all around even if soup was not the favourite item for all. Last week I made potato soup, which is only liked by 4 of the 6 people here (two do not like potatoes in any way, except french fried!) I also happened to make chili that same week (which our version is actually more like “bean soup” because it’s not spicy at all). Both make enough for double nights of meals and I realized on the second night of left-overs with the potato soup and the people who were not liking that soup were complaining, that I could have given them our chili as an option. I think in the future, I’ll make both of them in the same week, and then offer left-overs to those who don’t like the potato soup option. 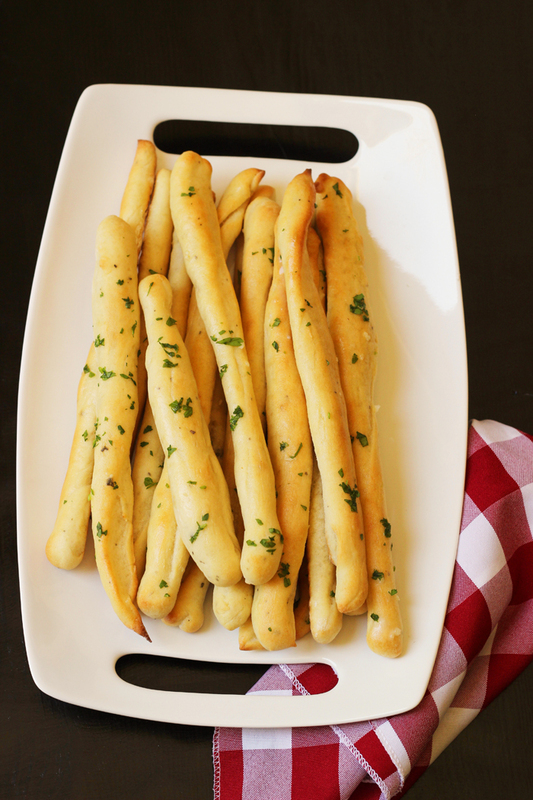 Breadsticks sounds like lots of fun too!